May Billy Cannon & Coach Paul Dietzel rest in eternal peace. On Oct 31, 1959 LSU football was forever changed when “The Billy Cannon Run” was permanently added to the vocabulary of LSU fans. This 89 yard punt return in the fourth quarter secured a victory over Ole Miss 7-3 on Halloween night. 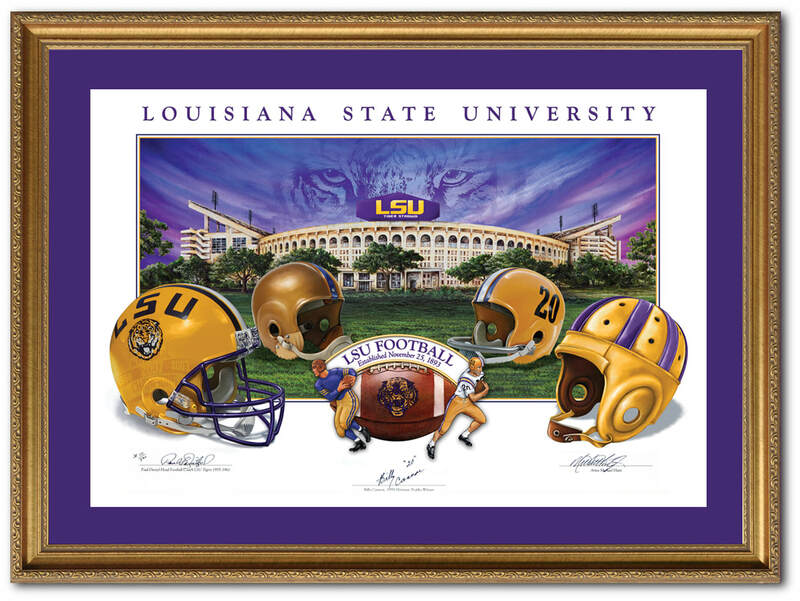 In honor of “The Billy Cannon Run”, artist Michael Hunt has created one of the most classic and beautiful football images ever created for ANY university. 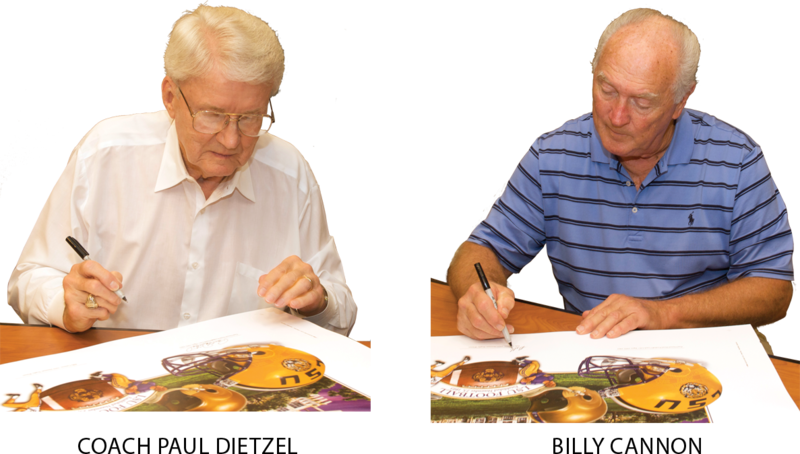 Personally and individually hand-signed by both Billy Cannon and Coach Paul Dietzel (LSU’S Football Coach at the time), these lithographs are a treasured part of Tiger history. With Both passing away, the value of each lithograph has increased in value substantially. Only a handful of these original autographed works remain. You are urged to respond immediately!